A payment facility for 2 x CBA Books of Breadmaking, plus delivery and other costs. Each year, the BSB’s autumn and spring conferences bring together the greatest innovators and influencers from across our industry to provide delegates with key insights into the future of the industry. For all of our conference presentations and proceedings from 1994 onward, visit the BSB Archives. 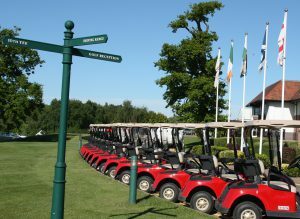 The 2019 BSB Golf day will once again be held at the Arden Championship course at the Forest of Arden Hotel and Country Club on Wednesday 29th May. For full details click here to go the BSB Website Golf Page.